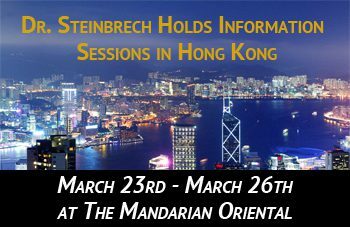 Dr. Douglas Steinbrech will be in Hong Kong on March 23 – 26, 2015 holding discussions and informational sessions at The Mandarian Oriental with individual patients to learn more about successful cosmetic and plastic surgery for men. Dr. Steinbrech will be scheduling plenty of time between his appointments to ensure that you can obtain answers to all of your questions and have an opportunity to discuss your procedure and results you would like to achieve. Space is limited and must be reserved in advance. Please call 1-(646) 480-7750 (USA) or contact Dr. Steinbrech today. Learn more about Dr. Steinbech’s Fly-In program. Dr. Steinbrech is also available to schedule a virtual consultation with prospective patients from all of over the world via Skype, phone or email. Discuss plastic surgery procedures and your goals in the comfort of your home without visiting Dr. Steinbrech’s New York City office. Discover all of the available options and recommendations proposed by top rated board certified surgeon and learn about each procedure to help you address any questions you may have. You may email your frontal and side view photos of your face or body areas that you would like Dr. Steinbrech to review and recommend the best options that will give you’re the maximum results. When sending your photos, please make sure the photos are clear, there is no background images and no selfies so Dr. Steinbrech can properly evaluate them. Our Patient Advisors can help you schedule your call or Skype consultation at your convenience. During this session, Dr. Steinbrech can make recommendations as well as go over any pricing estimates as well as discuss available financing options for qualified patients. Once you have consulted with Dr. Steinbrech and have decided on your prcoedures that are right for you, our Patient Advisors can schedule your surgery date. 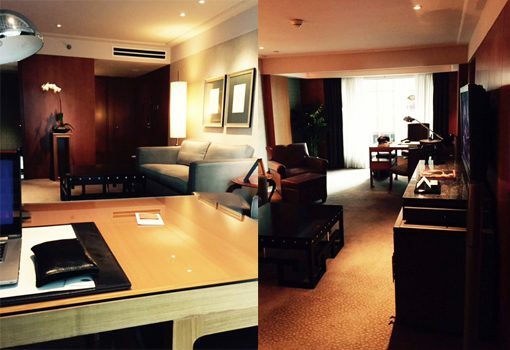 20% deposit via check or credit card to reserve your surgery date is required. The final payment for your surgery is due at least three weeks before surgery. Information packet will be send out for your review outlining your surgery with other important instructions you need to carefully read and follow. We strongly recommend that all of our patients spend at least one night in a nearby aftercare facility to make sure you receive medical attention, if needed. Our professional and friendly staff will help you arrange and take care of any post-op needs you may have.